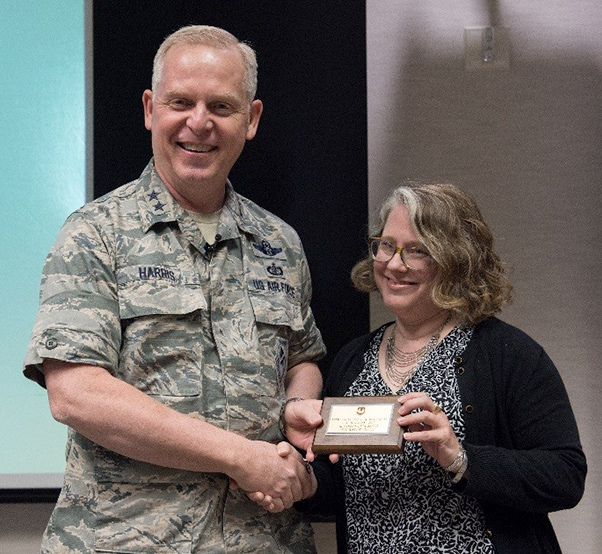 Dr. Stephanie M. Smith, Air Force Test Center, receives the 2017 Air Force Materiel Command Dennis F. Casey Award for Excellence in Periodic History from Maj. Gen. David Harris, Air Force Test Center commander, at a ceremony in May. Smith has since won the Air Force-level version of the award. 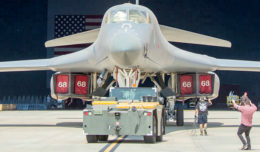 She documents history of the 412th Test Wing for the AFTC. 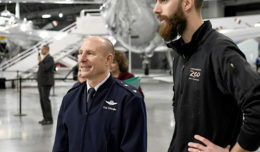 The award applies to historians in a multi-person office and is given annually by the United States Air Force History and Museums Program. Smith is recognized for providing the best periodic history reports and for providing superior historical services to her unit. According to Air Force doctrine, Dr. Dennis F. Casey served as an Air Force historian for more than 30 years. He influenced a generation of historians through his work as an instructor at Air Force History and Museums Program historian training courses.